The Hitech 6 x 6" 85B Filter is a color conversion filter that helps to slightly decrease color temperatures and provide a warming effect. The 85B converts daylight (approximately 5500K) to 3200K in order to use tungsten-balanced film outdoors. There is a 1.5x filter factor with this filter, requiring an increase of 0.6 stop for normal exposure. It measures 6 x 6" / 152.4 x 152.4mm and is constructed out of CR-39 dyed resin. 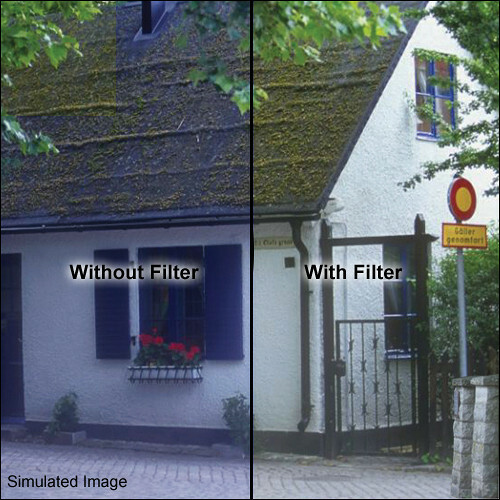 Color conversion filter helps to slightly decrease color temperatures and provide a warming effect. Converts daylight to 3200K for use with tungsten-balanced film outdoors.